Ellen Sackett Brettell and Richard "Rick" Brettell. 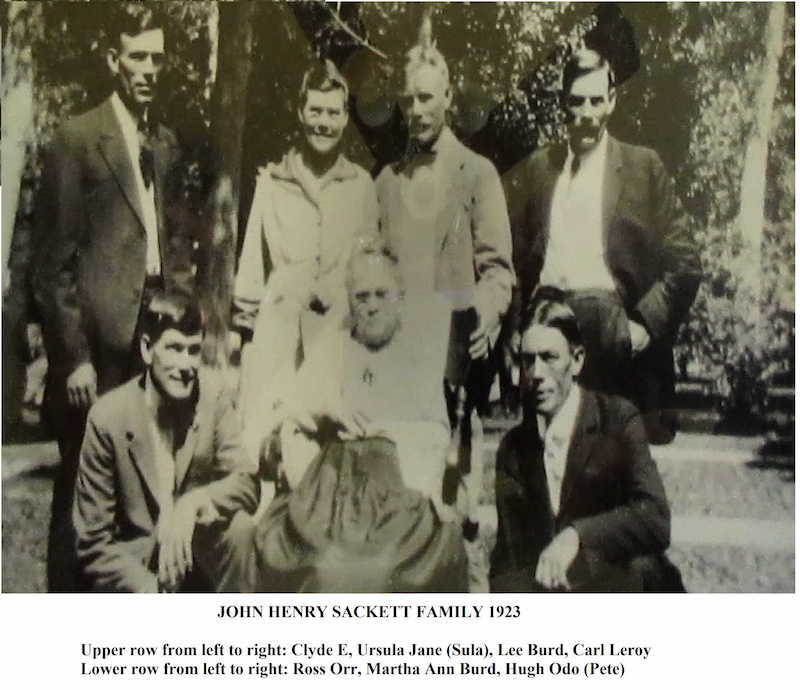 "Illinois, County Marriages, 1800–1940", database, Ancestry.com, "15 Mar 1871, Livingston, IL, John H Sackett & Mattie Burd." Sackett, Sabina T, 1, b. NY. 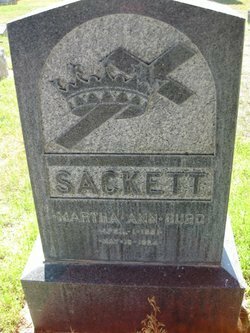 Sacket, Ellen, 2, b. IL. Sacket, John, 24, farm laborer, real estate $1,600, b. NY. [Lodging in household of Sophia Schwartz]. Burd, Silas, brother, b. Mar 1848, 52, single, b. IL, father b. NJ, mother b. NY, farm laborer. 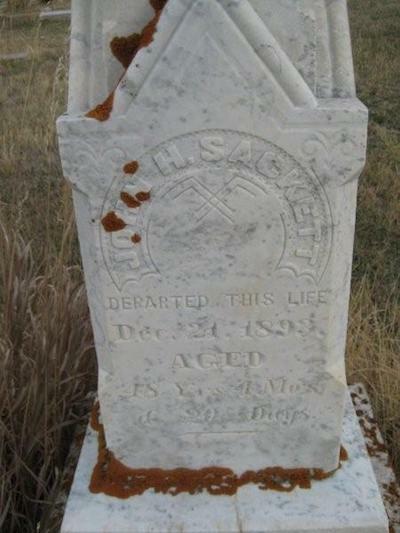 [Next door to C L Sackett].